Saint's Row is a sandbox action crime game (read: GTA clone). With great voice acting, an improved control scheme, and a ghetto attitude, it was originally released in 2006 to great critical and commercial success, selling over 2 million copies. Its sequel, Saint's Row 2, was released in 2008 and has sold over 3.4 million copies. Saint's Row the Third is coming out this Winter to great anticipation. 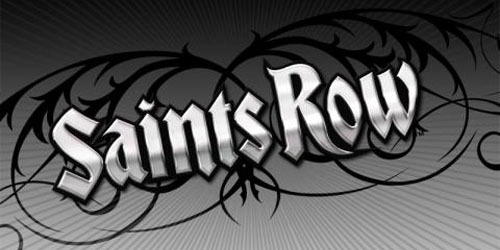 I imagine many of us have played Saint's Row 2 or heard of it, and since Saint's Row 3 is on the horizon I thought it would be fun to take a look back at what started it all. What makes Saint's Row different from GTA is that while GTA has eventually gone towards a more realistic game, Saint's Row goes in the exact opposite direction. The series delights in making its characters and situations as crude and ridiculous as possible. Saint's Row plays things a little straight, but you definitely see hints of the craziness to come. This will be a nice relaxed LP that serves mainly to show off the story mode. I'm not going to do a 100% run. With a big sandbox game like this, my main focus is show you things that I think are fun to see.